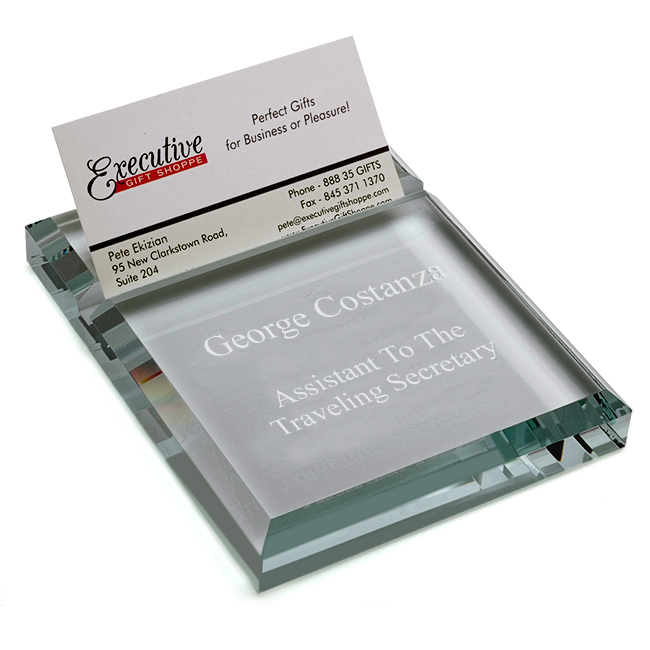 This elegant personalized desktop business card holder is made of solid crystal and coordinates with just about any desk. 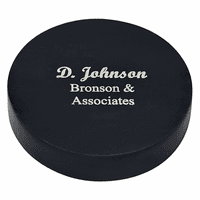 It holds up to fifteen business cards upright to show them off to your potential clients. 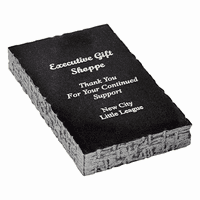 It has a broad area in front of the card holder where you can have up to four lines of custom laser engraving added free of charge. 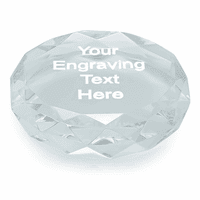 The laser engraving reacts with the crystal to create a solid white print that really stands out. 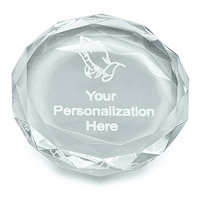 This crystal desktop business card holder comes packaged in a gift box and ships out in one business day. When i do the personalization, how do I get a space in between the name and the title as it is shown? When I skip a space, it still comes out right underneath the name. If you hit the space bar on your keyboard a few times on line 2 (where you want the space to be), that should solve the problem for you. These items I ordered were Christmas gifts for our son & the business card holder arrived with a small chip on the top edge so I called & left a message & received a call back that they would send another one in about a week...the replacement one was perfectly fine! With such superior customer service and products I will order from you again in the future & recommend you as well! Thanks again!